Did you know that listening to music is scientifically proven to be good for your health? Music can trigger many different areas of the brain and work to heal feelings of anger or sadness. It’s also proven to reduce stress and eases anxiety, so if you’re looking for a little escape this weekend, hit play on the radio and let your mind relax. Choice, choice and more choice! With more stations than ever, there’s something for everyone with digital radio. But perhaps most importantly, digital provides more tailored content than ever before, meaning there’s always something you will want to listen to. Not only will you enjoy traditional analogue stations in better sound quality, but you’ll also have access to a myriad of digital-only stations from the BBC and Commercial stations. 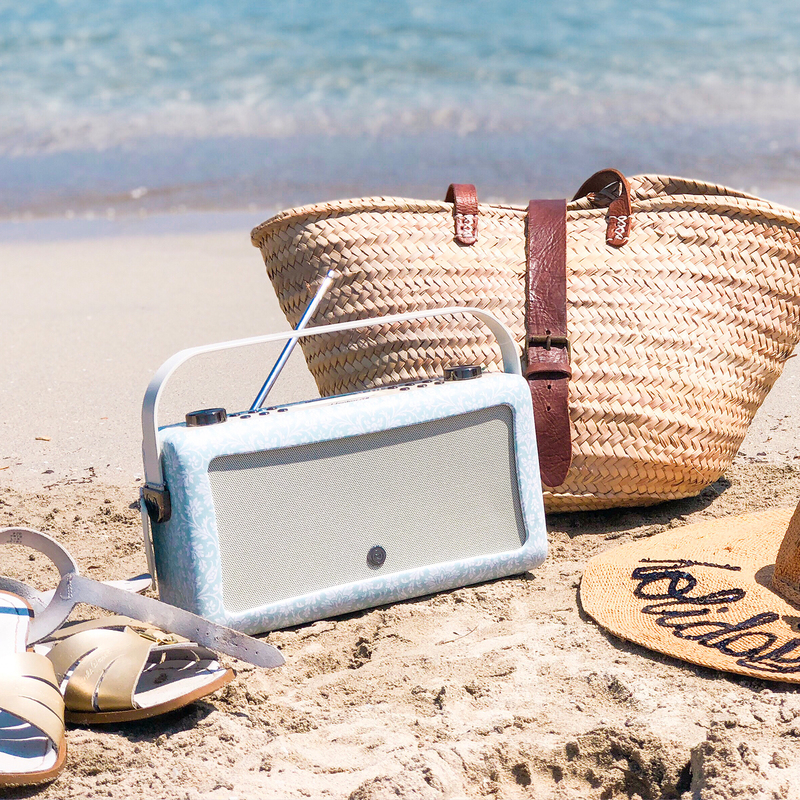 With some UK locations receiving over 100 stations, there’s never been a better time to enjoy digital radio. If you want to check what stations you could receive, there’s a free and impartial postcode checker right here. As a technology first discovered way back in 1881, the radio has come a long way in its 183 years of existence. At Laura Ashley we work in partnerships to expand our product range, and it’s important we only want to work with the very best. In VQ we have partnered with a unique independent, family owned British brand. Established in 2012, over the years the brand has won numerous awards from the likes of; Good Housekeeping, Which?, What HiFi and The Times. 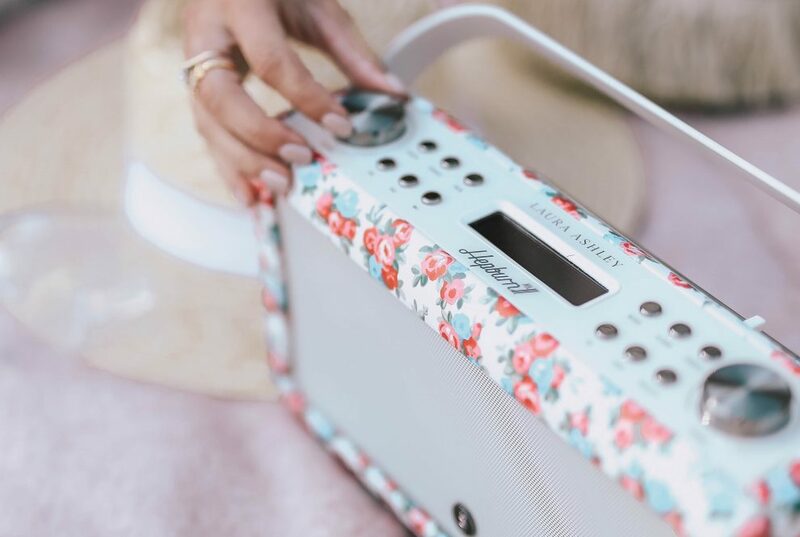 The Hepburn Mk II is vintage styled but embraces modern technology with digital radio built-in – if you’re an ardent traditionalist, don’t worry there’s FM too. Auto-scan technology, on digital, brings up all your available stations in alphabetical order, meaning there’s no trouble trying to remember frequencies. Sometimes we all like to switch over to our own playlists, which is why Bluetooth comes as a standard feature. 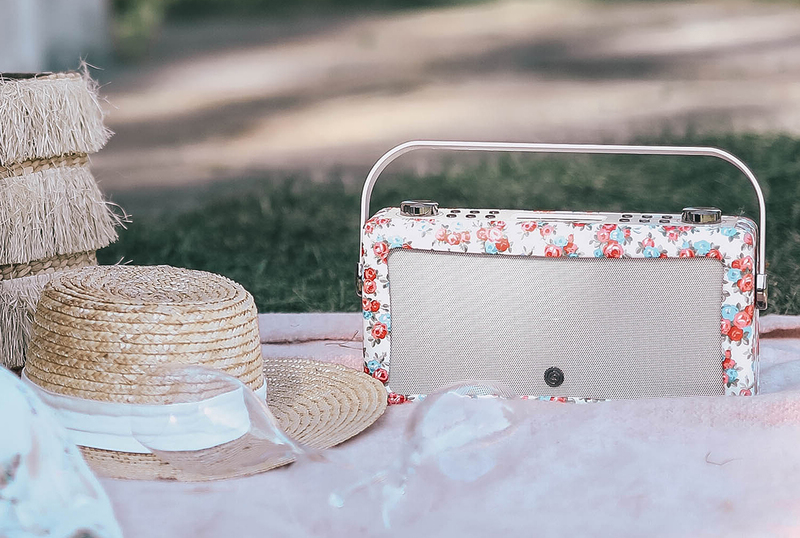 Set the mood for any occasion by wirelessly connecting your phone or tablet to the radio speaker. With the diversity of radio content ranging from music to news, politics to celebrities, there’s something about radio that brings people together. It gives us a talking point, something to discuss or debate or just something to be mutually entertained by. And where is a better location for bringing people together than in the home? The kitchen is a perfect room to enjoy radio, as it exists as the hub where families congregate together. 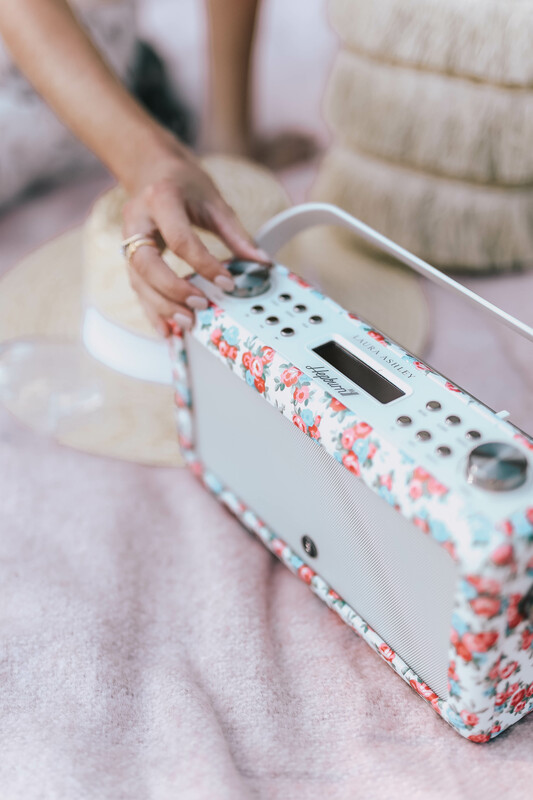 Use radio as a tool to get the whole family to help out; whether it’s prepping food, cooking or washing up, these mundane tasks are made easier with a little radio entertainment. 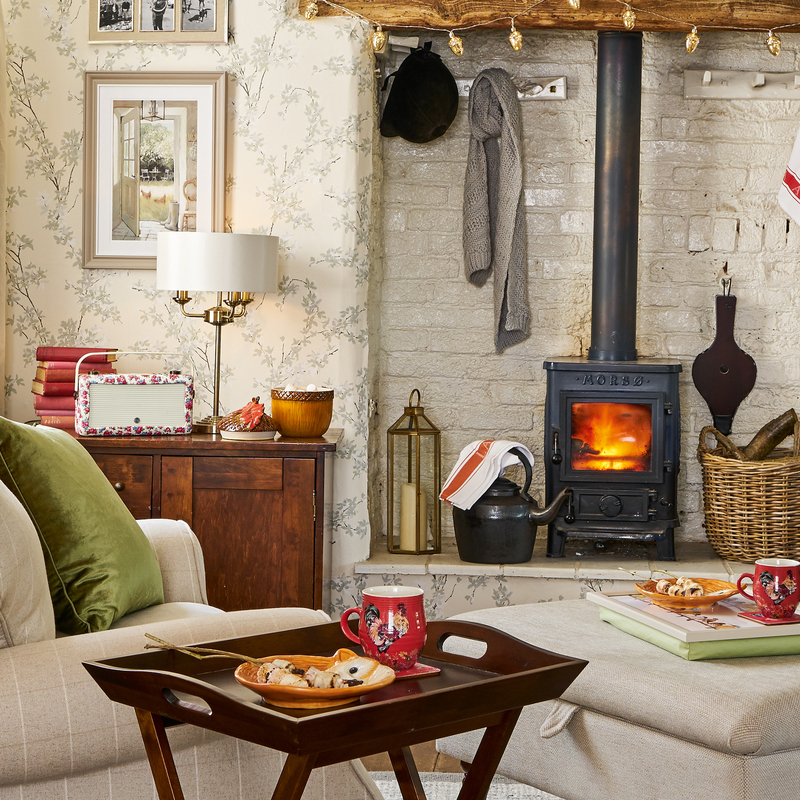 As well as relationships, radio can also visibly unite the home by tying all of your interior accessories together. Blending sound and style to create a radio that doesn’t just sound great but looks fantastic inside every home is incredibly important to both VQ and us. 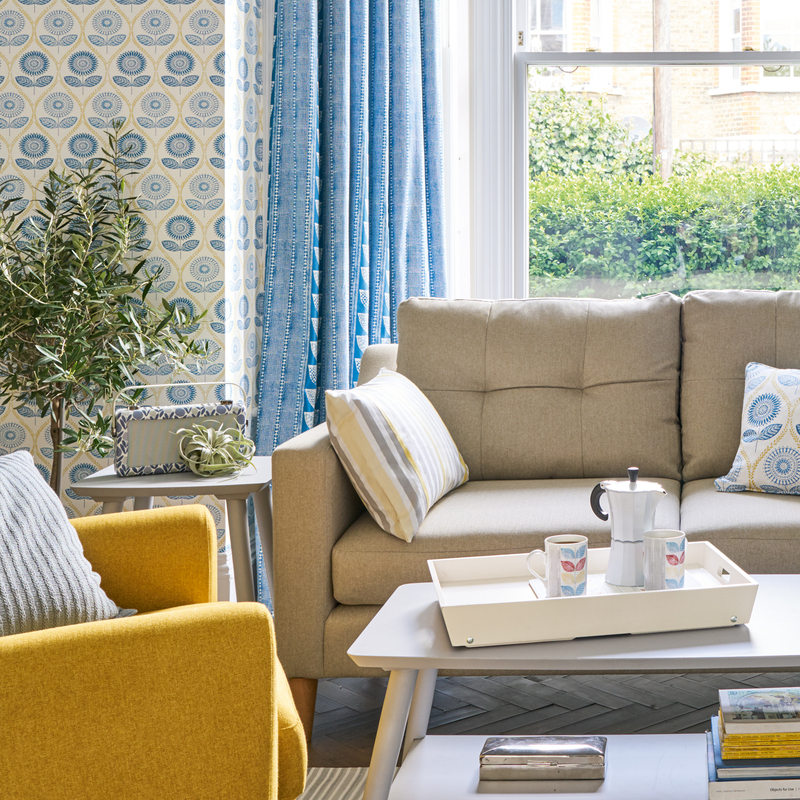 Of course, for Laura Ashley fans, the element of the Hepburn Mk II you’ll love the most is the choice of four iconic Laura Ashley prints. Choose from Annecy, Little Vines, Meghan and Serena to compliment your own personal style and bring your complete your Laura Ashley look together. Love this! I absolutely always have my radio on in the kitchen, my Mum was exactly the same. We’re so glad you agree, Jo! In our opinion, a radio is a kitchen must-have!